My husband abandoned me last April and ever since, my heart and soul have been shattered. I have pleaded with him to go to Christian counseling but he refuses. He left me because my daughter (his stepdaughter) is struggling with drug addiction. He has not supported me during this horrific time in my life. He left because he basically wanted me to turn my back on my daughter, and a mother simply cannot turn her back on her child. In NC, you have to be separated for one year to file for divorce. The one year mark is rapidly approaching and I cannot bear the thoughts of being served divorce papers. The past 9 months I have been a mere shadow of myself, barely functioning and struggling to be productive at work and at home. I cry every day and every night. The loneliness is unbearable and the will to carry on becomes increasingly difficult with each passing day. I ask God every day to have my husband return home to me. I ask that God open my husband's heart and have empathy and compassion for the suffering his wife and stepdaughter have endured. I ask that he rekindle the love and passion he had with me in the beginning. I ask God to guide him back into the marital household and become a true partner, friend, lover, and source of emotional support. I ask that God help my husband to have unconditional love for me, not conditional dependent on my daughter's terrible struggle with drugs. I pray that my husband relinquishes his condemnation and resentment of my daughter and stands by her and me in the fight against drug addiction. I also pray that God places his hands on my daughter and releases her from the demons and oppression of drug addiction and that she can turn her life around and become a productive member of society. 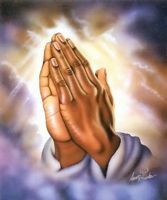 In Jesus name I pray!